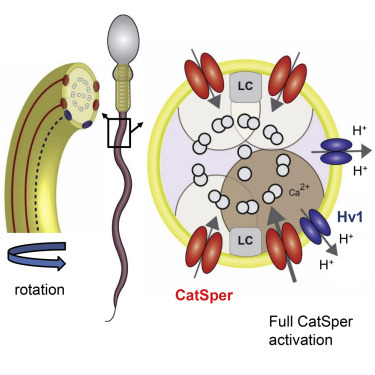 New research from the lab of MCB Assistant Professor Polina Lishko describes how flagellar regulatory nanodomains of human sperm are critical to sperm fertility. Hv1 proton channels in those nanodomains are distributed asymmetrically along bilateral flagellar lines to provide the structural basis for flagellar rotation. 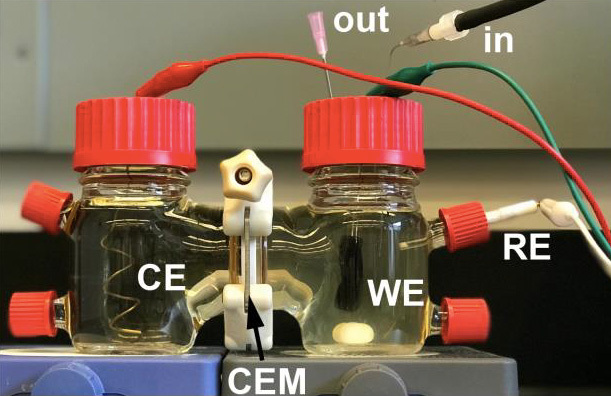 The research was published this week in Cell Reports and is a collaboration between the Lishko lab and the lab of Ke Xu, an Assistant Professor in the Department of Chemistry. The Department of Molecular and Cell Biology (MCB) at the University of California, Berkeley seeks candidates for a new position, Professor in Molecular & Cell Biology and Chief Scientific Director of the Innovative Genomics Institute (IGI). The expected start date is July 1, 2019. 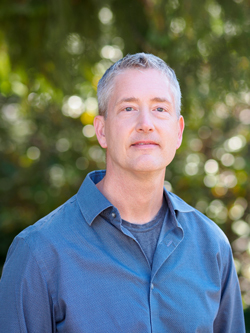 A team of researchers led by MCB Associate Professor David Savage has designed a novel protein engineering method known as MISER, which slims down the CRISPR-Cas9 protein. A standard Cas9 protein is composed of 1,368 amino acids and is too large for many biomedical applications. 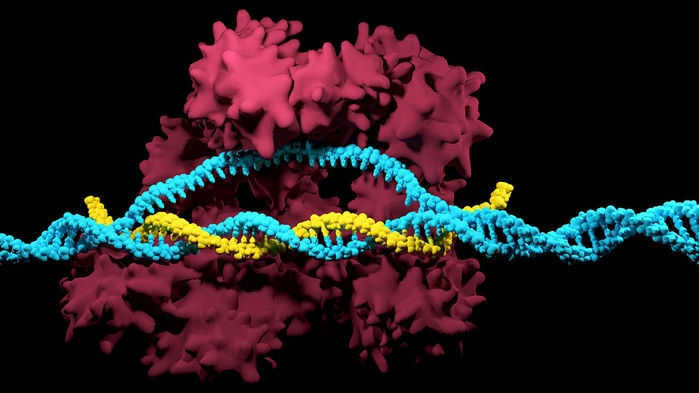 By reducing the size of Cas9 proteins without sacrificing their core features, Savage and his team hope to pave the way to even more CRISPR-based therapies in the future. 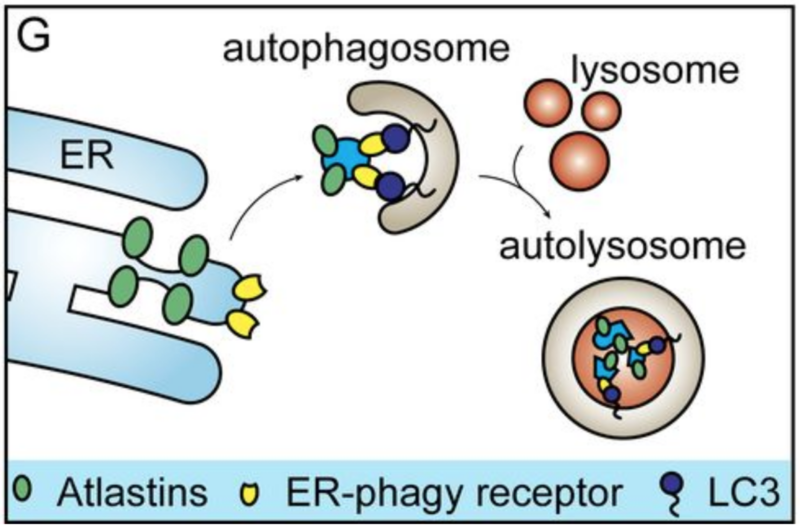 New research from the lab of MCB Assistant Adjunct Professor Jacob Corn identified that autophagic degradation of the endoplasmic reticulum, or ER-phagy, in human cells is regulated by ER-remodeling proteins known as Atlastins. 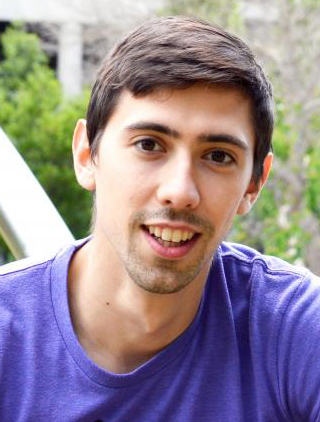 A Public Engagement Grant was awarded to MCB graduate student Dan Kramer (Bateup lab) for his program to bring in-depth science to local elementary schools. 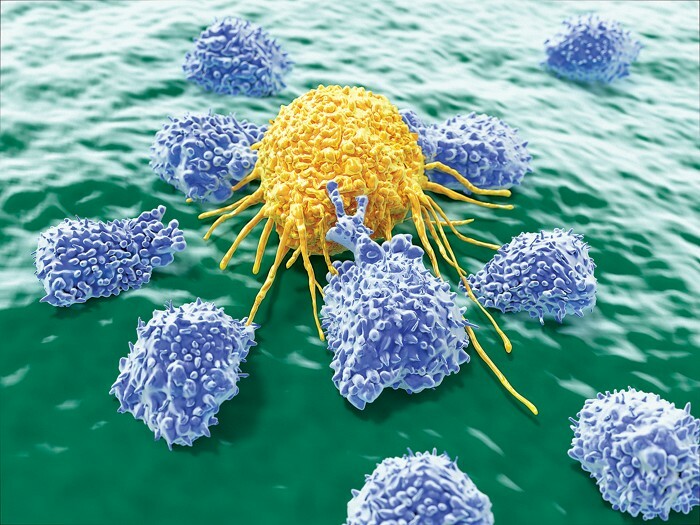 The grant is funded by the American Society for Cell Biology (ASCB) through the Science Sandbox, an initiative of the Simons Foundation supporting projects that unlock scientific thinking. Congratulations, Dan! In a new paper published in Nature Medicine, MCB Assistant Professors Helen Bateup and Dirk Hockemeyer modeled cortical tubers, or regions of disorganized neurons and glia in the cortex, with 3D human brain organoids. Cortical tubers are hallmark pathologies of tuberous sclerosis complex (TSC), a rare genetic disease which causes benign tumors on the brain and other organs. Several UC Berkeley undergraduate researchers from a variety of programs, including MCB and Neuroscience, share stories about their research projects and explain how important their research has been in shaping their experiences here at UC Berkeley. MCB Professor of Immunology and Pathology Jeffery Cox with Nevan Krogan of UCSF and the Gladstone Institutes and other researchers, utilized mass spectrometry to target 34 Mycobacterium tuberculosis (Mtb) proteins inside human cells, enabling them to study 187 interactions between the human and tuberculosis proteins. 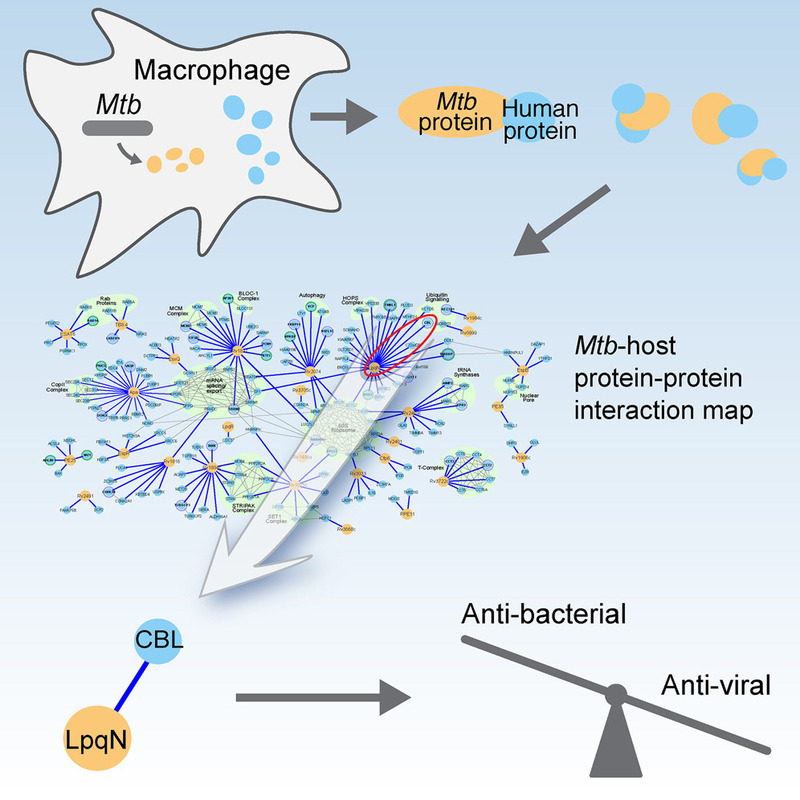 Their paper, published in Molecular Cell, highlights creating an Mtb-human protein-protein interaction map and identifying a switch between host antiviral and antibacterial responses. 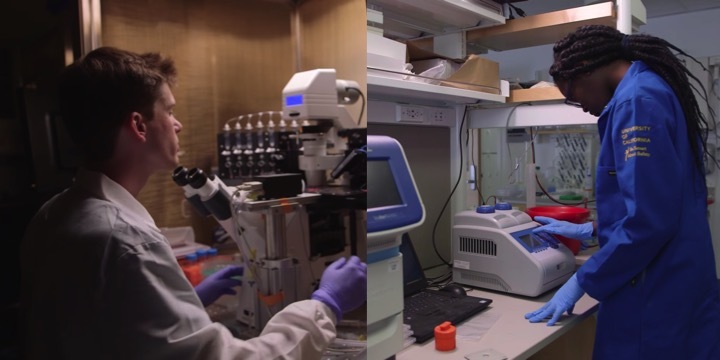 The team hopes to target human host proteins involved in commonly hijacked cell pathways during the disease state, and develop new therapies that use a single drug to treat multiple pathogens - not only bacterial TB but viral infections and other diseases. New research from the lab of MCB Associate Professor Diana Bautista demonstrates that a single molecule, sphingosine 1-phosphate (S1P), can cause both pain and itch in the skin of male mice. 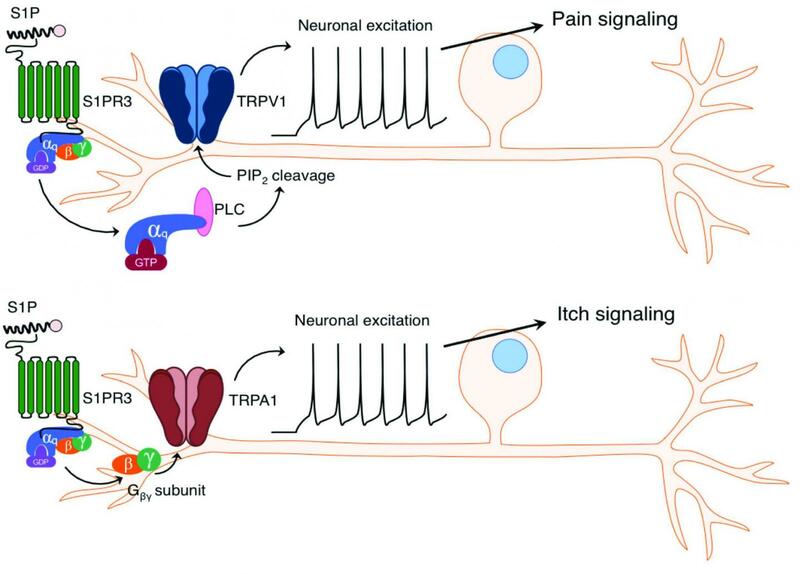 In the future, treatments that block the receptor for that molecule may control pain and itch sensations in those who suffer from certain skin diseases. MCB graduate student Rose Hill is first author of the paper, published this week in The Journal of Neuroscience. 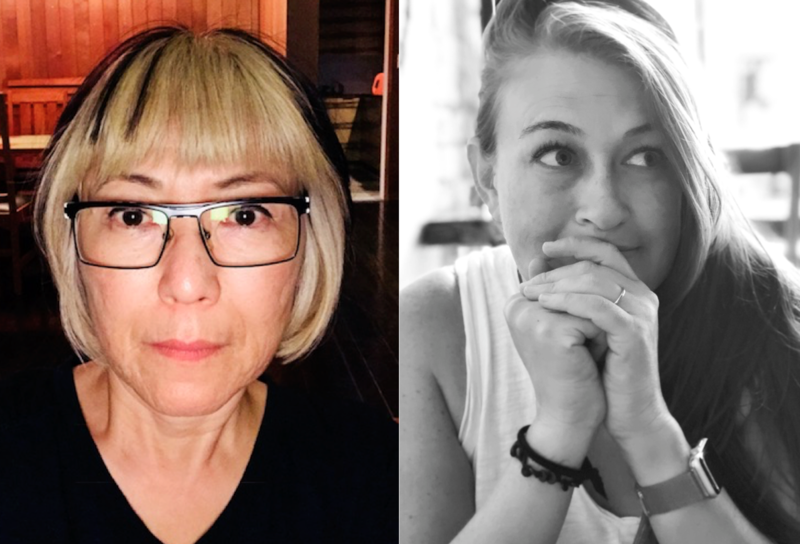 Hitomi Asahara and Alison Killilea were recently recognized for their contributions to the University with campus staff awards. Both scientists are directors of MCB research facilities and have found creative, innovative ways to improve or enhance their facilities. 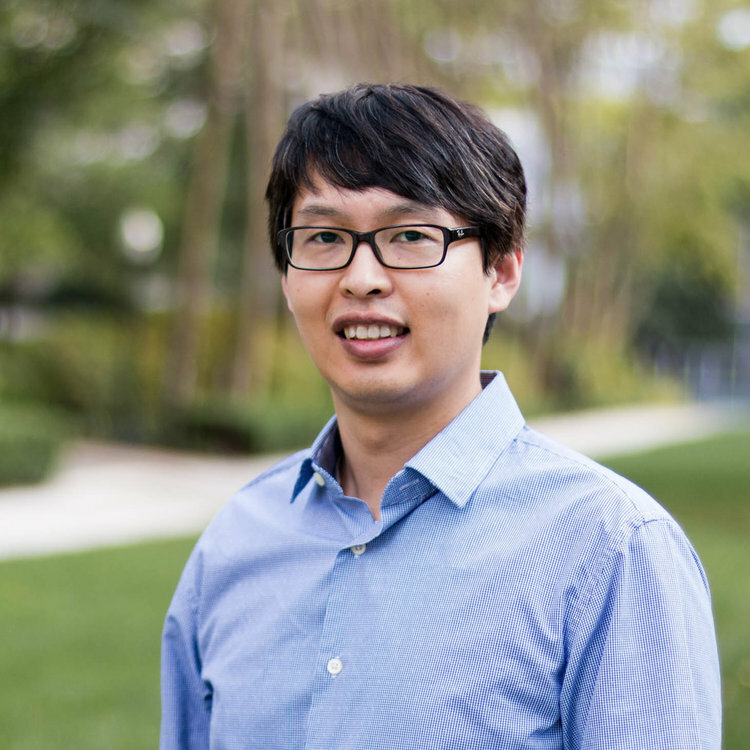 In turn, their work will help other UC Berkeley scientists perform their research more efficiently. 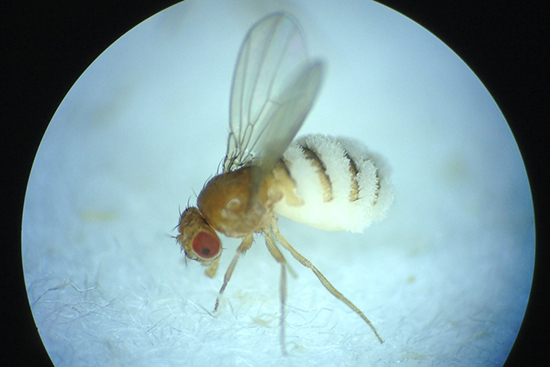 Recent MCB graduate Carolyn Elya, who studied with HHMI Investigator and Professor of GGD Michael Eisen, discovered a fungus that infects fruit flies, invades their nervous system, and manipulates the fly's behavior to its advantage. Infecting flies back in the lab, they were able to study how the E. Muscae pathogen infected the host and induced the behavioral changes. A paper was just published in eLife with their findings.